Bovis Homes is backing a major mental health campaign that aims to provide support for workers in the housebuilding industry. The national housebuilder has pledged its support for the campaign, which aims to tackle the mental health issues that see more than 400 workers in the wider construction industry take their own lives each year. 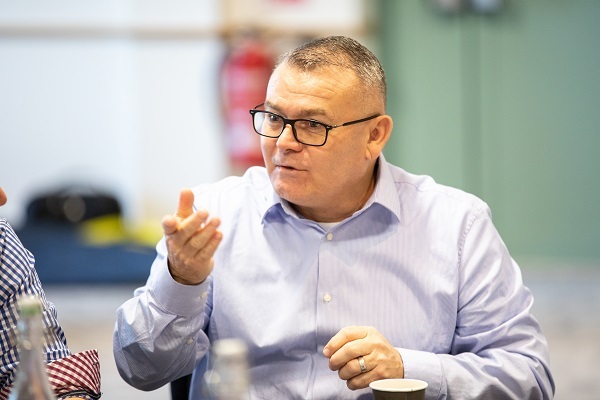 The housebuilder has been leading calls to improve the welfare of staff in the sector and trains its own mental health first aiders in the business. It is now proud to be a part of this new initiative being driven by the Home Builders Federation and the Lighthouse Construction Industry Charity. Bob Wolstenholme, Group Health, Safety and Environmental director at Bovis Homes, said: “We have made our pledge to this fantastic initiative. If you look at the number of workers facing mental health issues and the amount of suicides, something needs to be done to help people in the industry. “We were the first housebuilder to sign up to back the charity Mates in Mind that supports construction employees, and we’re fully behind this new industry-wide initiative. “We think we’re in a strong position at Bovis Homes to support those who need it, and we are training up mental health first aiders who can identify concerns and know how to ask the right questions. Bovis Homes aims to train up one staff member on every location and in each office as a mental health first aider. The housebuilder’s regional teams also offer a variety of supporting activities including regular teambuilding exercises, away days and yoga sessions. More than 30 builders have already signed up to the new campaign and pledged to adopt the ‘Building Mental Health Framework’, which gives best practice guidance to companies to help put critical steps in place. The industry has also pledged more than £100,000 towards the charity. Vicky Beckwith, head of Human Resources at Bovis Homes, who supports the company’s Health and Wellbeing programme, said: “Physical first-aiders know the symptoms and techniques when a colleague needs help. With mental health first-aiders, the training is much subtler, and the signs can be much harder to identify, but they may be able to spot these signs early. The campaign will deliver vital support including the provision of a confidential 24/7 industry helpline and retraining for workers who have been injured or who have suffered from an illness that means they cannot return to their normal work. The Lighthouse Construction Industry Charity is dedicated to delivering financial and emotional support to the construction community and their families. With the HBF, it aims to provide housebuilders with key resources and training to support employees and sub-contractors.